A man spotted wielding an ‘Elvish’ sword and throwing knives was arrested in an Eastbourne road. 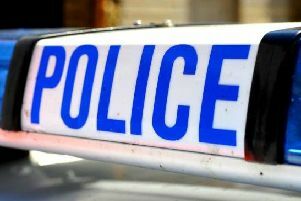 Police swarmed Etchingham Road, in Langney, on Thursday evening (February 7) following reports of an armed man there. Gareth Wilmshurst was arrested and charged with two counts of possessing offensive weapons, said Sussex Police. The 39-year-old, of Etchingham Road, appeared at Hastings Magistrates’ Court on Monday (February 11) where he was sentenced to one day’s detention and made to forfeit the weapons, a police spokesperson said. The blades included an Elvish sword and three throwing knives, according to police.